Michael McShane and Gersh Avery are hanging out in my office, talking about Jesus. Three years ago, I wouldn’t have believed the so called, “healing properties of cannabis,” but not today. Not with 51 year old McShane sitting across from me, grinning through the smoke and nodding his head. He’s a rapt audience of one, sitting in the front pew in the church of healing. 25 years ago, McShane was diagnosed with HIV. This was the late 80’s, when nothing was known about the disease. Doctors gave you an immediate death sentence. McShane’s first bout with cancer occurred a few years later. His doctors cut a wedge out of his lip. Soon after, he noticed a lump in his neck. He underwent radical neck surgery that removed part of his jugular vein. He also underwent radiation treatment. 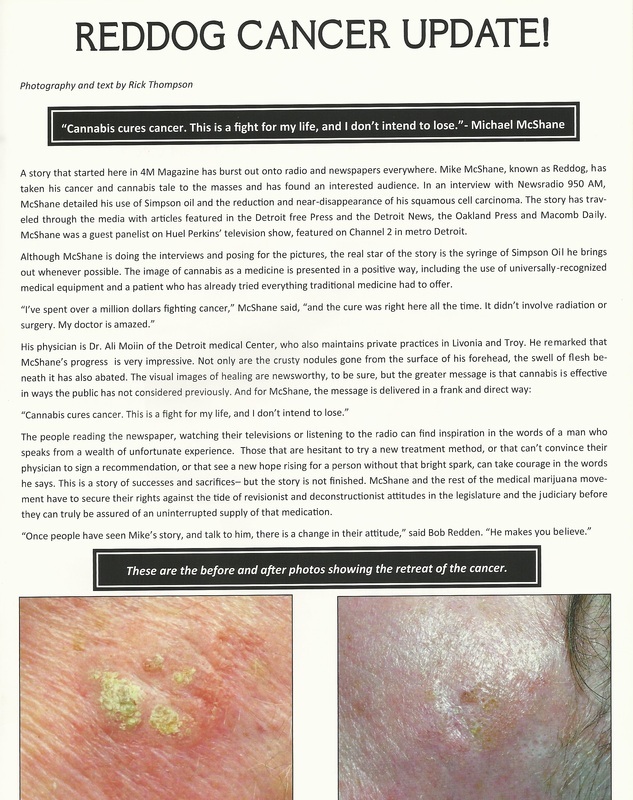 After the colon issue McShane had a major outbreak of cancer in four areas on his face. They performed surgery on his forehead, both lips and cheek in a surgical suite, using local anesthetic while McShane was awake. He says he could feel everything and asked for more anesthesia. The doctor would first removed tissue, then send it to a nearby lab for testing while McShane waited in the chair. He repeated this process until all the cancer was gone. By then, he had removed a substantial amount of Michael McShane’s face. After eight hours of reconstructive surgery, and another six procedures for scar revisions and lip clefts, McShane’s oncology procedure was deemed successful. In June of 2011, the cancer on his face returned, growing back in the same places where it had been surgically removed. By then he was growing marijuana, acting as a caregiver under the Medical Marihuana Act. McShane recalls a powerful, dawning moment of learning that marijuana cured cancer. Avery laughs, as if not believing this oil cures cancer is just plain silly. 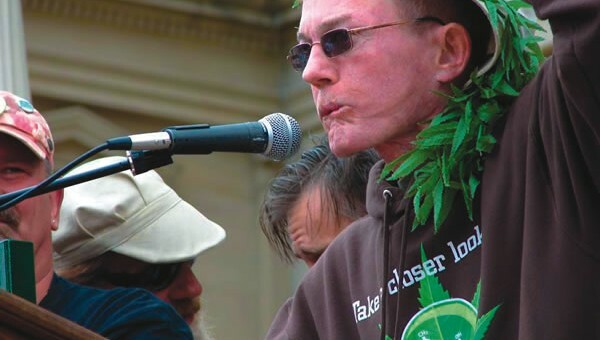 He’s co-founder of the Michigan Cannabis Cancer Project, an educational program that promotes and provides Simpson oil to anyone who needs it, at no cost. “It works,” he says simply. “I was crying. It was unbelievable.” He called his Dermotologist, told him the cancer was back and that he was treating it with marijuana. ﻿After three months of Simpson oil treatment, the cancer had broken down and exposed a layer of live skin. During that time McShane saw his doctor about four times, who confirmed his condition was improving. When McShane went to see his doctor for his last visit, he expected him to proclaim a miracle. When I last saw Mike McShane, he was working on healing his HIV with an intense 90 days treatment of Simpson oil. He says he has stopped taking his HIV treatment, which cost about $2000 for one month. He said the only aspect of the treatment he was struggling with was sensitivity to light. His cancer has not returned.